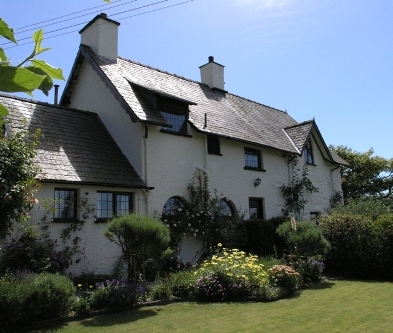 North Lodge dates back to 1790 and was in former times a gate house to Cors-y-Gedol Hall. 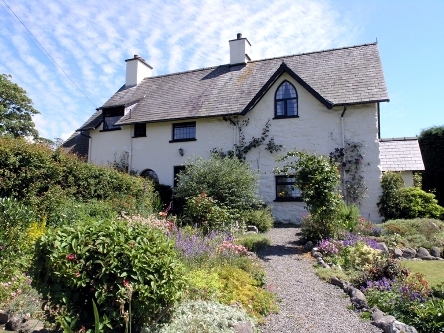 Standing proud in its own third on an acre garden just two minutes from sandy beaches and rugged mountains. 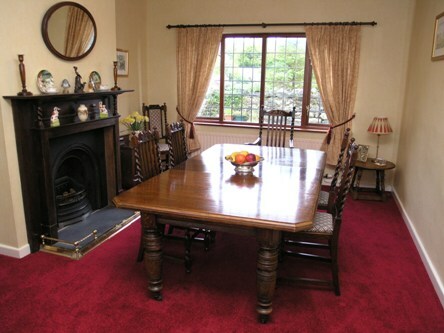 In the lounge, the cottage has been tastefully restored to echo its original high beamed ceiling. What could be nicer after a long day than sitting in front of a roaring open fire with a bottle of wine relaxing watching a video, a DVD or just listening to music? Eating a small snack can be a treat in this warm and inviting room and the large oak table makes dinner parties possible. 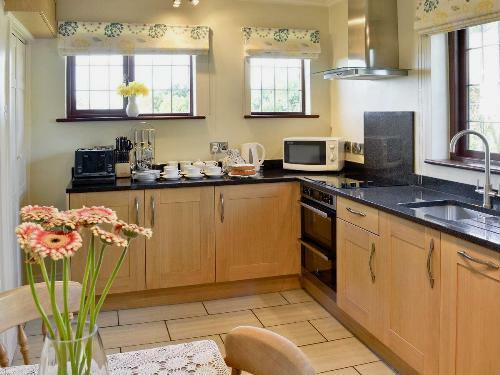 The kitchen is fully equipped to today's highest standards (a fridge, a freezer, electric cooker, a microwave and a dishwasher) and a washer dryer. There is a dining area in the kitchen but the inviting dining room with its large oak table makes meals feel a little more special There is central heating throughout. The king size bed is a treat and this bedroom has an en-suite bathroom with a shower. Through the Gothic windows there are views of the beach and the third bedroom has three foot wide bunk beds. The main bathroom has a bath and there is a downstairs cloakroom come utility room with a toilet, a washbasin and a washer dryer..